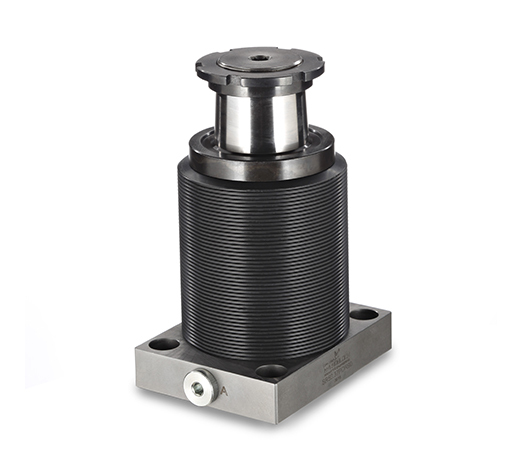 This swing clamp cylinder series is compatible with competitor products and not equipped with the unique compensation system (except for some models that are clearly identified). These cylinders are characterized by sturdy design, unparalleled reliability and maximized bolt and ball diameters. They are made of alloyed and heat-treated materials. This swing clamp cylinder type inevitably features slight angular clearance that increases over time. For applications requiring high repeat accuracy in the positioning of the clamping arm, we recommend using the SR Compensation System version.